non-oil growth in Bahrain in 2018. An acceleration in the pace of project implementation in Bahrain during the first quarter of the year is expected to drive the non-oil sector growth to 4.3 per cent in 2018, with headline growth of 3.4 per cent, said the Economic Development Board (EDB) in a new report. The forecast for strong growth across the year as a whole comes in spite of a weaker performance in the first three months of 2018, according to the Bahrain Economic Quarterly. The forecast follows a strong performance in 2017, in which the Bahraini economy was the fastest-growing in the GCC with headline growth of 3.8 per cent and 4.8 per cent growth in the non-oil sector, the EDB report added. Bahrain’s growth in the first quarter (Q1) of 2018 was negatively impacted by a one-off maintenance-related reduction in oil production, leading to a 15 per cent contraction in the oil sector. Non-oil sector growth in the quarter remained positive but slowed due to a combination of base effects after a period of accelerating growth and the lagging impact of anticipated unevenness in infrastructure project implementation in the second half of 2017. However, the economic outlook is favourable due to a number of factors. After a period of slower growth in 2017, the year-on-year (YoY) rate of real expansion in the construction sector has accelerated markedly to 6.7 per cent during the first three months of 2018. Construction has always been an important driver of growth in other non-oil sectors and the renewed momentum in the first quarter suggests sectors such as manufacturing, trade, real estate and financial services are likely to benefit over the course of the year. 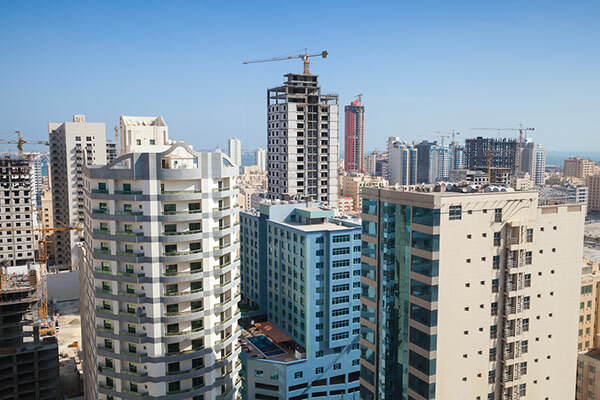 This growth in construction is partly the result of a rapid increase in the pipeline of projects tendered as part of the GCC Development Fund to a cumulative total of just over $5.1 billion, compared to less than $4.2 billion at the end of 2017. At the same time, private and semi-government projects are making headways. The Bapco modernisation project is the largest investment in Bahrain’s history and getting underway this year. Development activity is starting in the Khalij al Bahrain field and the deep gas finds. Expectations of more rapid growth in 2018 are also underpinned by strong growth in lending activity. Bahraini retail banks have seen a clear and sustained increase in their activity over the past year. The annual rate of growth of bank loans shot up from 2 per cent in May 2017 to 11.2 per cent in May 2018, with the majority of the new loans going to the private sector. Beyond this, companies in Bahrain can be expected to benefit from a much more favourable regional backdrop with headline growth set to accelerate markedly from last year’s low. At the same time, the oil price environment is beginning to inject new liquidity into the regional economy. All this should have positive indirect effects on Bahrain through visitor flows and regional investments. “The stronger regional growth dynamics, a benign liquidity situation in the banking sector, the renewed expansion in the construction sector and implementation of a large infrastructure project pipeline suggest growth is likely to accelerate over the course of the year as a new phase of construction growth helps to support activity across the economy,” Dr Kotilaine added.